Retro-motorcycle maker Royal Enfield has just launched the Classic 500-based Pegasus limited edition motorcycle in India. The Classic 500-based Pegasus is priced at Rs. 2.4 lakhs, on-road Delhi, making it the most expensive motorcycle on sale in India by Royal Enfield. The Pegasus shares its mechanicals with the Classic 500 Stealth Black. 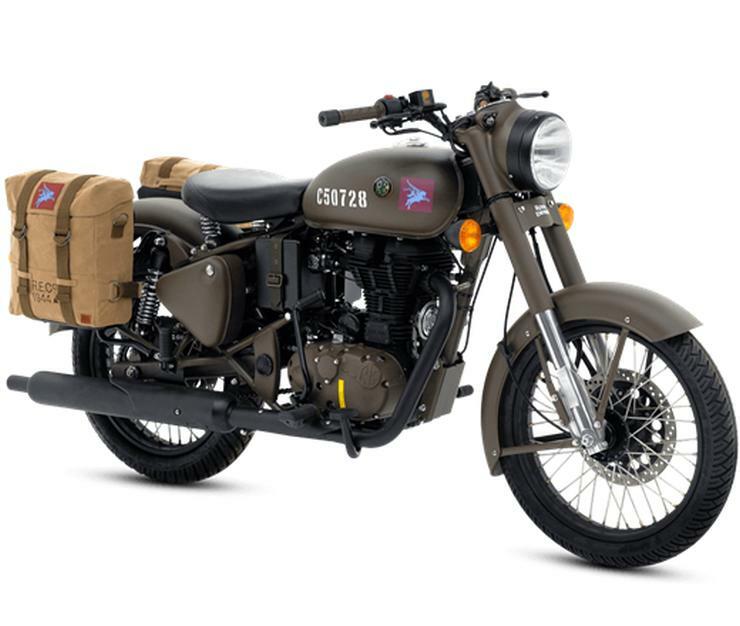 Key changes are limited to the cosmetics, which are inspired by the Flying Flea, a super lightweight motorcycle that Royal Enfield produced for World War ll. The Flying Flea, which weighed under 60 kilograms, was meant to be air dropped along with soldiers, giving them a means of last mile connectivity to war torn regions. While the Flying Flea weighed less than 60 kilograms, the Classic 500-based Pegasus is quite a heavyweight, with a kerb weight of over 190 kilograms. The only real connect that the Pegasus shares with the Flying Flea has to do with the cosmetic changes. The motorcycle that is sold in India gets a Service Brown colour, while international buyers get to choose between Service Brown and Olive Green colours. This is because of the fact that the Olive Green colour is reserved for military use in India, and is disallowed for civilian vehicles. Only 250 units of the Pegasus 500 will be sold in India. The motorcycles will be numbered between C50001 and C50250, with the numbers stickered on the fuel tank. The Pegasus 500 is powered by a 499cc, four stroke air cooled engine. This long stroke engine gets hydraulic valve lifters, and makes 27.2 Bhp-41.3 Nm. A 5 speed manual gearbox is standard, and so are disc brakes on both wheels. 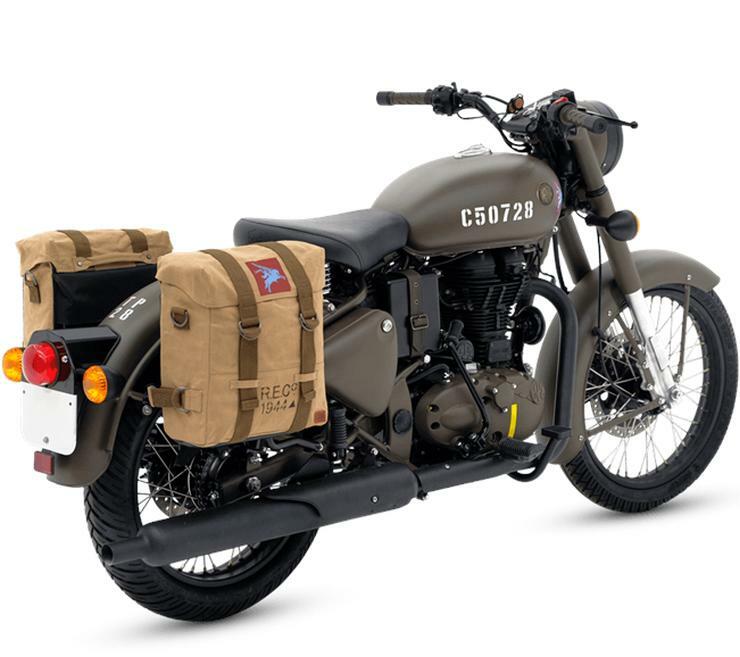 As for changes, the Pegasus 500 gets a Pegasus logo on the fuel tank, canvas panniers, leather strap with brass buckles on the battery box, brown handlebar grips, an ‘RE’ tank badge and blacked-out elements such as the exhaust muffler, engine, rims, handlebar and headlight bezel. You can order the motorcycle only online on the 10th of July 2018, at 2 PM IST, when the Pegasus 500 will be sold through the Royal Enfield website on a first-come-first-serve basis.